Graduation speaker Larry Wiser said it best: “a lot has changed in 50 years, but the one thing that has stayed the same is your heart.” Wiser, president of the Class of 1968, addressed this year’s graduating class at Bald Eagle Area High School the morning of June 2 about the changes yet to come and the obstacles to overcome, but not to give up on what you want. 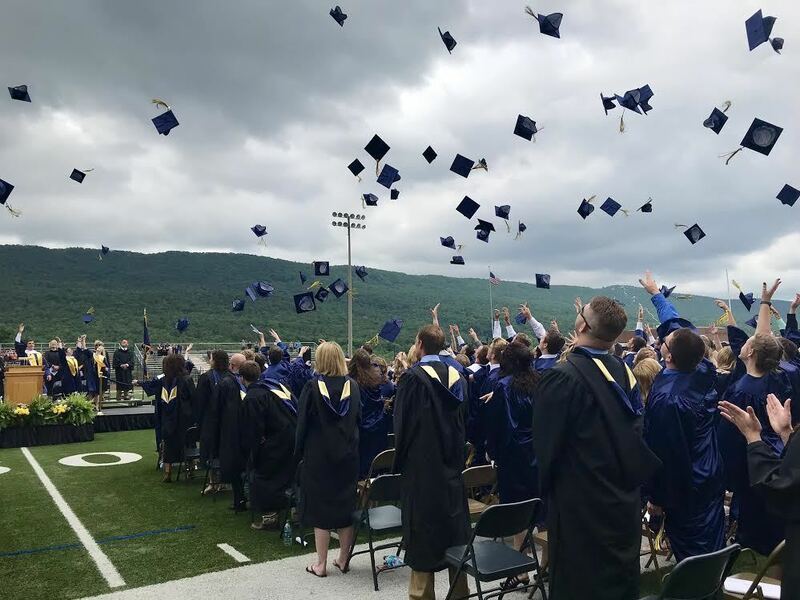 The Class of 2018 began commencement 11 a.m. June 2 at Alumni Stadium with a prayer and series of speeches including that also from valedictorian Michael Bailey, salutatorian Morgan Chambers and Superintendent Jeff Miles. Chambers, graduating with the second highest GPA in her class, will attend Penn State in the fall for athletic training. Her goal is to one day be a physical therapist. Classmate, Bailey, the student with this year’s highest GPA, will be attending the University of Southern California for biomedical engineering. They, along with other classmates, said they attribute so much to the teachers in the district for helping shape who they’ve become and preparing them for the next phase of their lives. The 50th anniversary Class of 1968 was also honored during commencement.